Baby Veronica, Indian adoption, and the Supreme Court: Justice Alito’s ruling is a backdoor attack on all racial preferences. Alito’s Indian adoption ruling is actually a backdoor assault on all racial preferences. Justice Samuel Alito’s ruling in the Baby Veronica case may point the way to the court striking down other American Indian classifications in the law. Emily, you present Adoptive Couple v. Baby Girl as a Solomonic tussle between the biological father of Baby Veronica and her adoptive parents. Both sides possess strong claims to parental rights, and the only thing to do is think deeply about what is in the best interest of the child, and resolve the case accordingly. That is not how I read the opinion. When a statute is as ambiguous as this one is, and the court breaks down along ideological lines (as the court nearly does—with Scalia and Breyer switching places, as is becoming increasingly common), a good place to start is with the ideological underpinnings of the case. Appearances to the contrary, the case is not about the relative interests of biological parents versus adoptive parents—an issue which has little ideological valence these days. It is about race and racial classifications. The issue in this case is whether a biological Indian father must have had custody of his child in order to have the right to stop the biological mother from putting the child up for adoption with a non-Indian family. The majority said yes, ruling against the father. 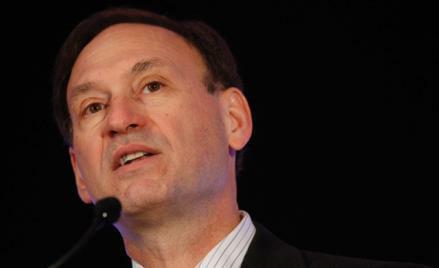 Justice Alito argued that if the father did not have custody, then maybe he has not made a significant investment in the child, and thus the adoption may seem to be presumptively in the best interest of the child, despite our usual assumption that children should normally stay with their biological parents. But the statute in question, The Indian Child Welfare Act, was enacted in 1978 by a Democratic Congress and president to preserve the integrity of Indian tribes. Congress passed the statute specifically to keep intact Indian tribes that were losing members as children were adopted by non-Indian couples. The statute thus grants a special right to Indian parents that non-Indian parents (in many states, including South Carolina, where the events took place) lack. The statute directs courts not to act in the best interests of the child when they conflict with legitimate tribal interests. Justice Sotomayor, writing in dissent, is correct that the statute thus favors the father. The crux of the majority opinion is this sentence: The dissent’s interpretation “would put certain vulnerable children at a great disadvantage solely because an ancestor—even a remote one—was an Indian.” Baby Veronica was only 3/256 Cherokee, a fact that Justice Alito repeats (and Justice Sotomayor scolds him for repeating). The Cherokee use a kind of “one-drop” rule to maximize their membership and to maximize the rights of their members. Even if Baby Veronica would do best with the adoptive parents, and even if she is not really Indian in a racial sense, she must be sent back to the Indian tribe in order to advance the cause of Indian tribal unity. In Alito’s view, this can’t be the right outcome. Justice Sotomayor accuses the majority of reading its policy preferences into the statute, and maybe it does. But larger issues are at stake. What sticks in Alito’s craw (or so I conjecture) is that here is Congress using an explicit racial classification to advance the interests of a minority—exactly like affirmative action. And most of the members of the conservative majority believe that the equal protection clause bans such racial preferences. Equal protection is the animating motive of Alito’s opinion. Rather than say this, Alito says that the dissent’s interpretation “would raise equal protection concerns,” but they needn’t be addressed because the statute is clear. Why does he pretend that an obviously ambiguous statute is clear? The answer is that there is no precedent for applying the equal protection clause to strike down Indian classifications, which are ubiquitous in the law. Justice Sotomayor makes just this point: “The majority’s repeated, analytically unnecessary references to the fact that Baby Girl is 3/256 Cherokee by ancestry do nothing to elucidate its intimation that the statute may violate the Equal Protection Clause as applied here.” So the majority has laid the groundwork for a future equal protection challenge to Indian classifications and fortified its position that the equal protection clause bans racial preferences like affirmative action. Interesting that no one noticed.